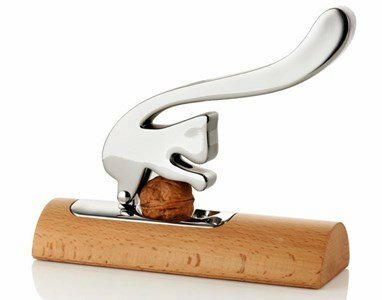 Scoiattolo, a squirrel nut cracker! It is the archetypical representation that can be seen frequently throughout the entire historical production of this object. Therefore, there is nothing new to Branzi, but this version has the master's brand. Aware of the environment and of the natural outlines, the squirrel is on a wooden log, searching for food. For dry fruit lovers, Scoiattolo - the little squirrel, the perfect gift. Made of stainless steel and wood. Elegance, sophistication and a singular way in one object. 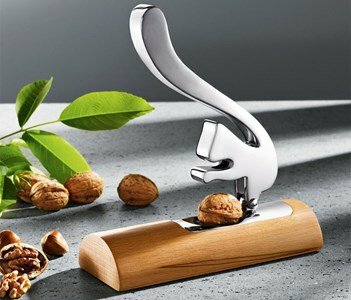 Renowned for the high quality products, Alessi uses them to make people happy, every creation has a touch of poetry.